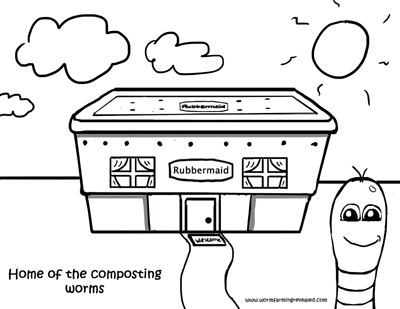 This is a free rubbermaid worm house coloring page. It's a printable coloring page for kids to help educate them and peak there interest in worms. Squirmin Vermin was lost but some kids helped him find his way back home in time for dinner. Now he's getting ready to enjoy a worm bath before he goes to bed. I'll bet you he'll sleep late the next morning. 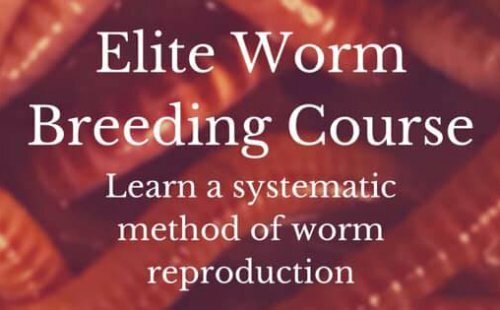 Cause he's a smart worm. 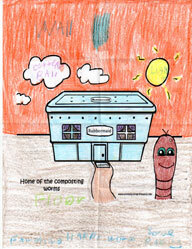 Print Rubbermaid Worm House Page Now! You must have a PDF Reader to view and print. If you do not then click hear. to be able to download the printable coloring page. Here is a sample of Raelynn (my daughter's) Rubbermaid worm house. She is a natural when it comes to coloring. I know all you kids can do a great job at coloring but if you would like some suggestions on what colors to use then just look at the sample drawing my daughter colored. The 44 Page Printable eBook includes 26 coloring pages and 14 "Bonus Feature" pages. Great For: Teachers, Parents, and Nature Educators of all kinds.